The créme have a unique ability to bind water which makes it extremely moisturizing. 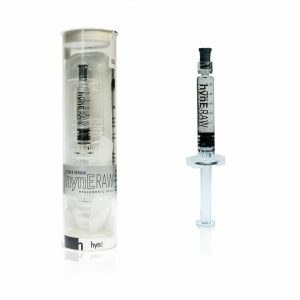 By adding hyaluronic acid to the skin it helps to smooth out wrinkles and fine lines. My name is Kicki Scheller and I have extremely sensitive skin and there are very few face creams I can use. HynE's cream works great - it works for me instead of me. It also contains hyaluronic acid and therefore gives my skin a lot of moisture which is a prerequisite for keeping the skin buoyant and nice. My name is Elvira of Winklerfelt and I have blandly skin. My skin is fatter in the T-zone where I get pimples easily, and I am drier on my cheeks. I also have very sensitive skin which made it difficult for me to find face creams that will not make my skin flare up. HynE is perfect for me as it fits both sensitive & normal skin and it also provides good moisture. 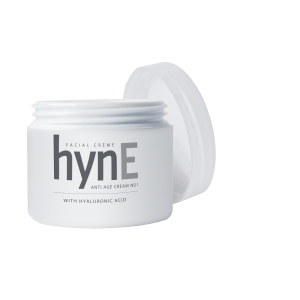 Normally, it has been difficult for me to use a single cream, but HynE works great for my different skin parts. It's even a day, night and eye cream that work's for 24-hours. It's also very easy to bring with me when I travel. Hi, my name is Tove Jokiranta! Like many others, I have a mixed skin and sometimes I get rashes, pimples and dry spots. To me, it is important to find a routine that I can hold, and a combined cream that works during the day, night and around the eyes. I want a good moisturizing cream that is simple and easy to apply and HynE's face cream is perfect for me! It's so much easier using a cream that works in three different ways. I have noticed that my skin has become more resilient and cleaner after using HynE and my dry winter spots around the eyes have disappeared. It feels fresh and natural on the skin. It's so much more fun to take care of my skin now when I find a product I really like!